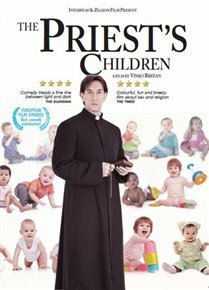 Dark Croatian comedy about a Catholic priest who moves to a small island with dwindling population and takes drastic underhand measures to raise the birth rate. Conspiring with the local pharmacist and newsagent, the priest sabotages the local supply of contraception by piercing all condoms before they are sold to the island’s residents. But as the birth rate rises very quickly, the consequences of his actions become more and more apparent. In Croatian with English subtitles.